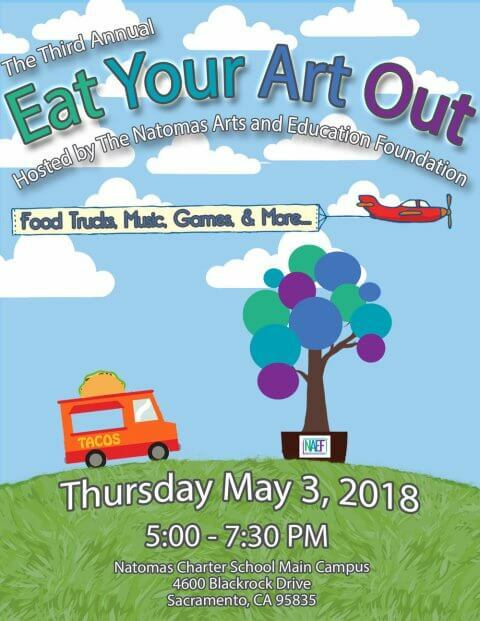 Things are warming up outside and NAEF is getting ready for one of our favorite events, EAT YOUR ART OUT, on the Big Day of Giving on May 3, 2018. This year’s event will highlight all five Natomas Charter School academies while offering food trucks, games, bounce houses, and live entertainment. Please join us for a fantastic night of family fun and fundraising! 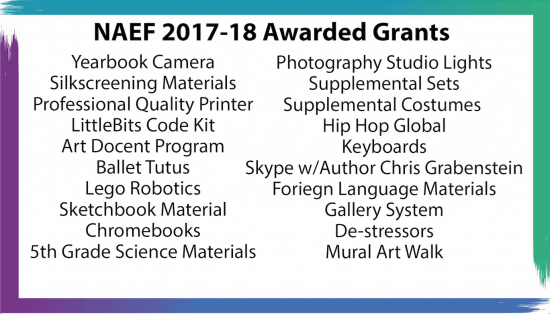 We are also excited to announce that we have expanded our offerings for the NAEF Summer Arts Camp. This year we have added an afternoon ceramics class taught by NCS-PFAA Visual Arts Teacher, Chelsea Greninger. NAEF Summer Arts Camp will be filled with opportunities for your child to unleash their inner artist. With a focus on individual expression and group learning, your child will have fun drawing, painting, creating sculptures, playing theatre games, and putting on a show. This camp will stimulate and encourage your child’s creative side, keeping them challenged while learning in-depth concepts about each artistic discipline. Register your child today! If you are looking for even more performing opportunities for your child, consider the NAEF Youth Theatre For All Summer Show, BYE BYE BIRDIE. This production will offer a valuable and enriching artistic experience to children ages 10-18 whom audition and are cast in the show. With NO FEE required, any and all youth, ages 10-18 from the Sacramento region, are invited to audition. There is no previous performance experience required. We only ask that every performer, regardless of age or role in which they are cast, commits fully to the rehearsal schedule. Please visit our website to learn more about audition requirements and register to audition. As you can see, we are working hard to support, engage, and promote young artists in our community. You don’t have to wait for May 3! Starting April 18, 2018, you can get your donation for Big Day of Giving in early. We have a set a $20,000 fundraising goal this year and any and all donations will help us get there. Starting April 18, 2018, you can click here to schedule your Big Day of Giving donation! Beyond Big Day, you can support NAEF year-round through. Through the Our Promise Campaign, a program offered to state employees to donate directly from their payroll, you have the option to donate to NAEF by writing in the Natomas Arts and Education Foundation in the donor form. If you are a state employee and interested in supporting NAEF through the Our Promise Campaign, please contact us at director@natomasartsandeducation.org to receive our EIN# required for registration. In 2017, NAEF launched our first ever membership program. 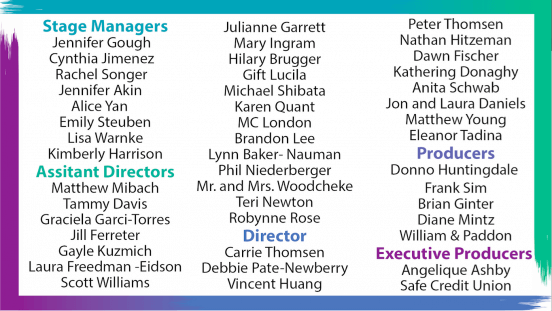 We wanted to give a personal thank you to our dedicated members who choose to be part of the Heart of Art in Natomas, every day!